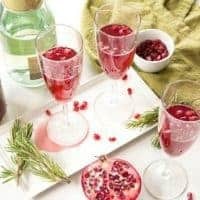 These 2-Ingredient Pomegranate Mimosas are the perfect addition to your festive holiday celebrations. 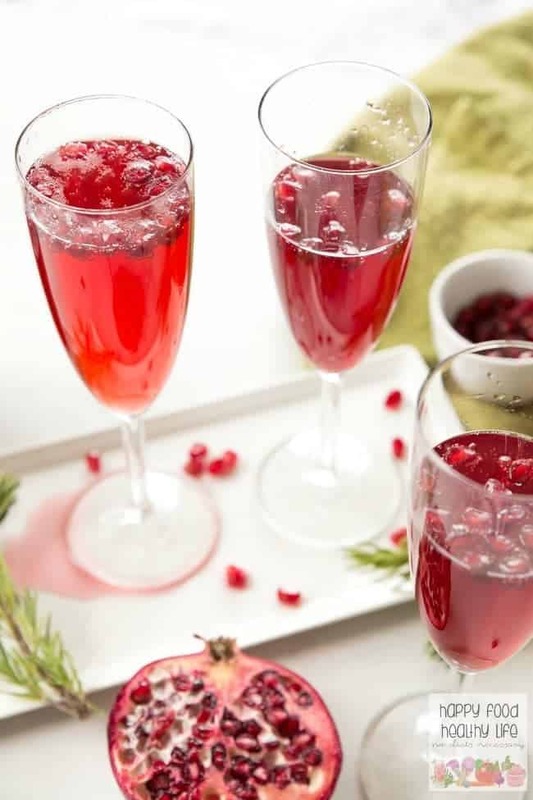 Your Christmas party will be complete with these cocktails. All the gift-wrapping. All the potlucks. All the family parties. All.the.stress! ‘Tis the season where shortcuts are totally welcome among all the crazy. Shortcuts like in-store gift wrapping. Pre-made neighbor gifts that I only need to throw a cute tag on. (this is one of my favorite ideas) And of course, an easy cocktail shortcut is totally welcome! When you’re planning a party or holiday get-together, the last thing you want to do is spend the entire night behind the bar working the drinks. Instead, you probably want to be consuming them and celebrating the festivities with your friends and family. The exact reason why this simple holiday twist on a classic mimosa is a total win. To show you JUST how easy these drinks are to make, I put together a quick 30-second video for you. Check it out and you’ll be on your way to festive cheers in no time! If you liked the video, make sure you subscribe to my channel so you don’t miss anything! 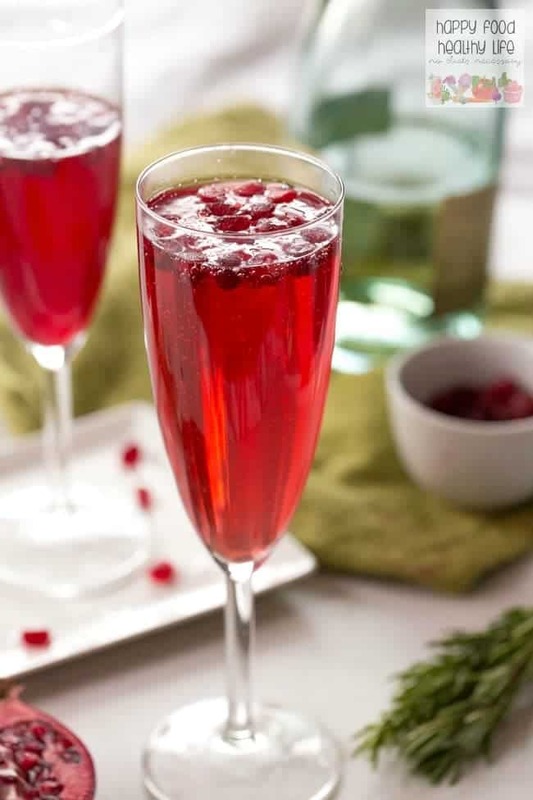 You’re only 2-Ingredients away from the most festive holiday cocktail! 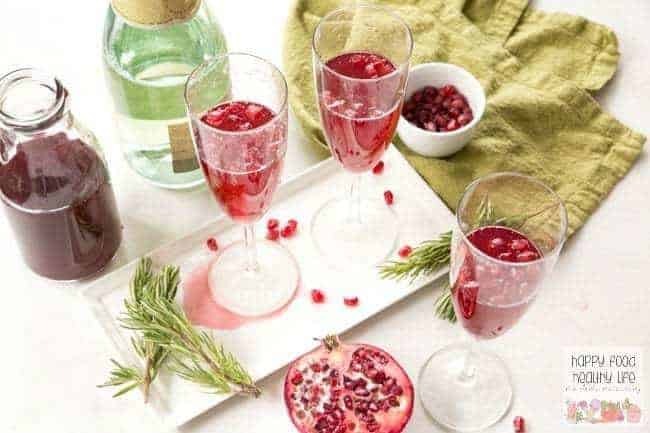 Fill a champagne flute about 1/3 of the way with pomegranate juice. Fill to the top with Champagne. I LOVE pomegranates this time of year! This recipe is perfect for brunch! 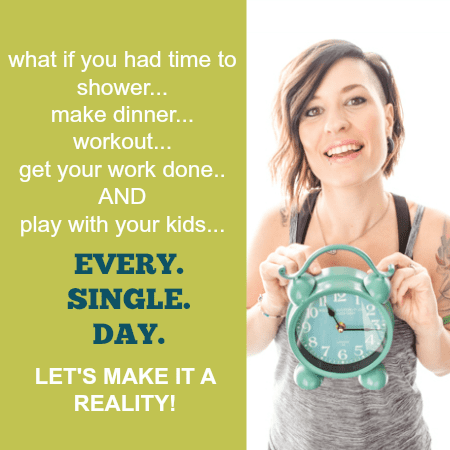 Thanks so much for sharing at Merry Monday, you’re going to be my feature this week! I’ll be sharing on all my social media tomorrow night so I’d love it if you’d follow me! Hope to see you again for tomorrow’s party! Love that this has only two ingredients! I’m all about easy and this is right up my alley. Thanks for sharing on Merry Monday.